Today’s seniors are more active, mobile and tech-savvy than ever. 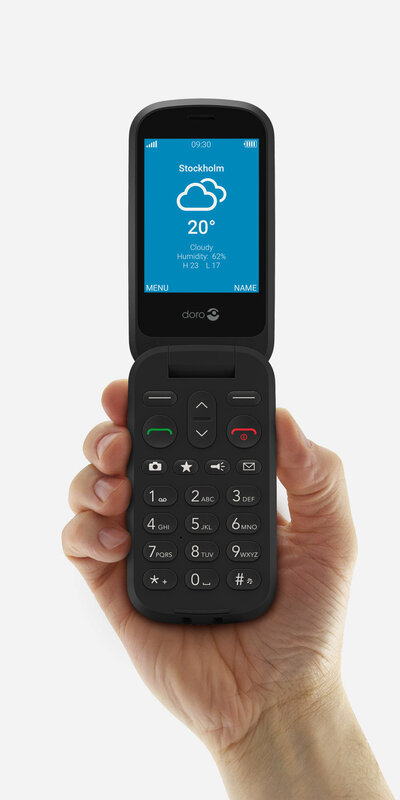 With its latest feature phone, Doro closes the gap between a simplified, fumble-free UX and smartphone functionality. While seniors may have become more familiar with smartphone technology, they still primarily look for feature phones with loud and clear sound, large keys, assistance buttons and direct access to often-used features. We were asked to help develop a follow-up to the highly successful Doro 612, combining a distinct design with a simple but clever user experience. We used interviews and market research to map out consumer behaviour, and analysed key scenarios to better understand senior users’ needs. Extensive testing, physical mockups and prototypes ensured that we stayed true to Doro’s brand values and design, without compromising on usability. 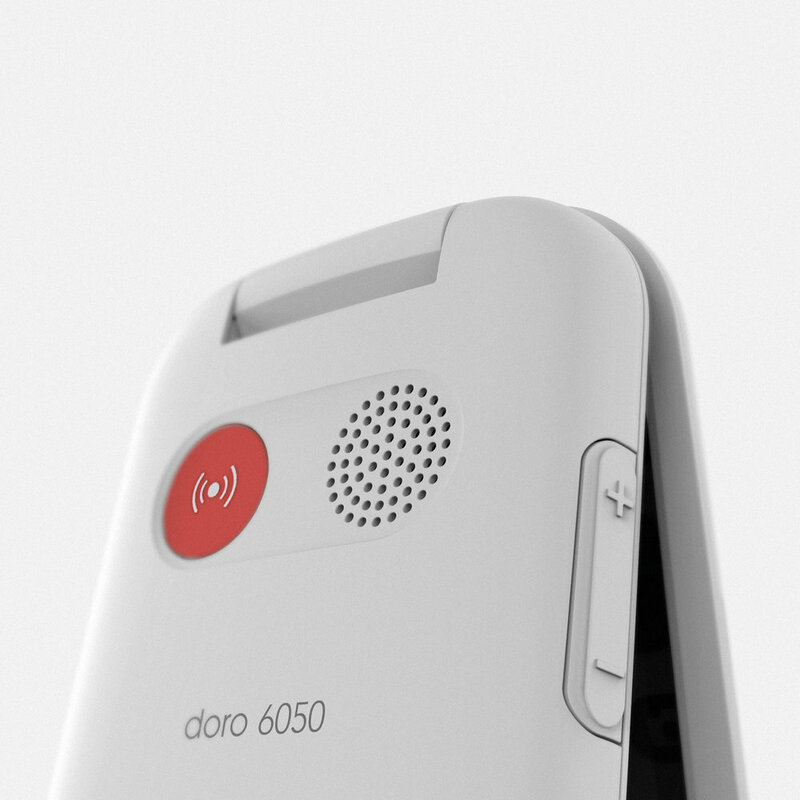 The Doro 6050 allows people to connect easily with friends and family, while feeling more secure. Its curvy soap shape rests comfortably in the hand, with a soft touch surface on the back providing warm, tactile feedback. Large, high-contrast buttons, two generous LED displays and a wide range smart features – such as a dedicated “Send Message” button – allow for ergonomic, intuitive handling. For extra safety, a bright assistance button on the back of the phone provides instant emergency access. Just flip the phone open to answer, and close it when you’re finished. The clamshell design also protects the keypad when not in use. Dedicated keys give direct access to favourite contacts, SMS, camera and flashlight. Users can also choose between traditional menus or simplified, action-based commands. Doro develops telecom products and services that allow seniors to lead full and rich lives – doing things they want to do more easily, as well as the things they thought they might never do. A Swedish company founded in 1974, Doro is now the global leader on the senior mobile phone market.